You can legally remarry your ex-wife. Famous couples who have remarried their ex-spouses include singer Marie Osmond and her current husband, former basketball player Stephen Craig. A 2011 study by Dr. William J. Doherty of the University of Minnesota and his colleagues suggests that 10 to 15 percent of all married couples who separate eventually reconcile. Before you remarry your ex-wife, there are precautions you can take to insure that your remarriage will be legally valid and shielded from financial pitfalls. Remarriage to an ex-spouse was forbidden during some eras of history. Biblical Jewish law, in Deuteronomy 24:1-4, allowed a man to divorce his wife if she displeased him, but stipulated that if his wife then married another man, and the second marriage ended in divorce, she could not remarry her first husband. During the Middle Ages, a primary teacher of the Catholic church's canon law, St. Thomas Aquinas, ruled in "Summa Theologica" that divorce was permissible only if a wife committed adultery or followed another faith instead of Christianity. An ex-wife divorced for adultery was not allowed to remarry. If an ex-wife repented of her adultery, her ex-husband was allowed to remarry her. Modern American state laws allow divorced spouses to remarry each other. Check your divorce paperwork to make sure that your original divorce proceeding was completed. If your divorce from your ex-wife was not finalized, then you may still be legally married to her. 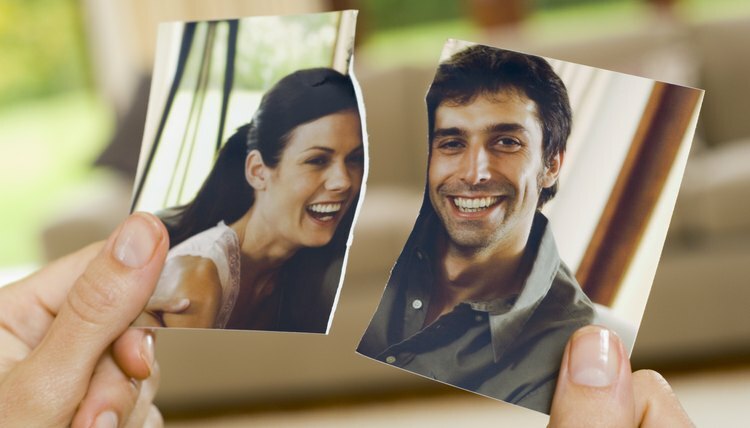 If you married another woman after a getting a valid divorce from your ex-wife, you will have to obtain a completed divorce from that wife before you can remarry your ex-wife. If you intend to remarry your ex-wife, notify the state courts and social service agencies that oversee your alimony, child custody and child support arrangements, and find out the procedures they require to get these arrangements canceled after you remarry her. Call the Social Security Administration and get advice on how your remarriage will affect your ex-wife's Social Security payments status. In the event that you and your ex-wife split up again, it would be wise to have a prenuptial agreement drawn up to protect your finances. Revise your will and other estate planning documents to reflect your remarriage to your ex-wife. Call your health insurer to obtain forms necessary to reinstate your ex-wife in your health plan after your remarriage to her. Dr. Nancy Kalish, a clinical psychologist, has done pioneering research on why reunions between ex-lovers and ex-spouses succeed or fail in "The Lost Love Chronicles: Reunions and Memories of First Love." Before remarrying, you and your ex-wife may wish to review Dr. Kalish's research and seek out premarital counseling on the problems that destroyed your first marriage to each other. The American Association for Marriage and Family Therapy maintains an online directory of family therapists. ElderLawAnswers: Is It Better to Remarry or Just Live Together?